Product prices and availability are accurate as of 2019-04-18 16:19:02 UTC and are subject to change. Any price and availability information displayed on http://www.amazon.com/ at the time of purchase will apply to the purchase of this product. 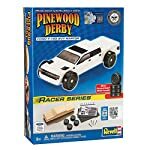 Model Cars is proud to stock this Vintage Hot Rod Pinewood Derby Decals by Pinewood Pro. Check out this awesome Vintage Hot Rod Pinewood Derby Decals made by Pinewood Pro and listed by ModelCars.us. This interesting kit is currently in stock - purchase securely and safely on modelcars today. Vintage HOT ROD pinewood derby stick-on decal set includes flames, racer stickers such as STP, Champion, Crase, Holly, Alliance Cams, etc. plus Numbers, Letters, Lightning Bolt and even a dashboard. These stickers are perfectly designed to fit Pinewood Derby Cars. Simply cut the decal out, peel off the backing and stick to your car. Turn your car into a cool, hot racer. 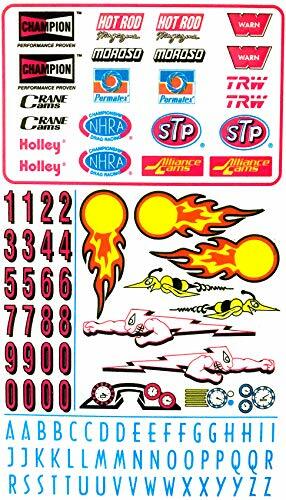 Easy cut-out and stick-on decal stickers Perfect size for pinewood derby cars Includes Racing Car emblems, flames, numbers and letters Oversized sheet 6 1/4" X 3 1/2"